March 2, 2017 - 8:00 PM Bluegrass Jam with host John Meehan! March 9, 2017 - 8:00 PM Bluegrass Jam with host John Meehan! March 16, 2017 - 8:00 PM Bluegrass Jam with host John Meehan! March 23, 2017 - 8:00 PM Bluegrass Jam with host John Meehan! March 30, 2017 - 8:00 PM Bluegrass Jam with host John Meehan! April 6, 2017 - 8:00 PM Bluegrass Jam with host John Meehan! April 13, 2017 - 8:00 PM Bluegrass Jam with host John Meehan! April 20, 2017 - 8:00 PM Bluegrass Jam with host John Meehan! April 27, 2017 - 8:00 PM Bluegrass Jam with host John Meehan! May 4, 2017 - 8:00 PM Bluegrass Jam with host John Meehan! May 11, 2017 - 8:00 PM Bluegrass Jam with host John Meehan! May 18, 2017 - 8:00 PM Bluegrass Jam with host John Meehan! May 25, 2017 - 8:00 PM Bluegrass Jam with host John Meehan! June 1, 2017 - 8:00 PM Bluegrass Jam with host John Meehan! June 8, 2017 - 8:00 PM Bluegrass Jam with host John Meehan! June 15, 2017 - 8:00 PM Bluegrass Jam with host John Meehan! June 22, 2017 - 8:00 PM Bluegrass Jam with host John Meehan! June 29, 2017 - 8:00 PM Bluegrass Jam with host John Meehan! July 6, 2017 - 8:00 PM Bluegrass Jam with host John Meehan! July 13, 2017 - 8:00 PM Bluegrass Jam with host John Meehan! July 20, 2017 - 8:00 PM Bluegrass Jam with host John Meehan! July 27, 2017 - 8:00 PM Bluegrass Jam with host John Meehan! August 3, 2017 - 8:00 PM Bluegrass Jam with host John Meehan! August 10, 2017 - 8:00 PM Bluegrass Jam with host John Meehan! August 17, 2017 - 8:00 PM Bluegrass Jam with host John Meehan! August 24, 2017 - 8:00 PM Bluegrass Jam with host John Meehan! August 31, 2017 - 8:00 PM Bluegrass Jam with host John Meehan! September 7, 2017 - 8:00 PM Bluegrass Jam with host John Meehan! September 14, 2017 - 8:00 PM Bluegrass Jam with host John Meehan! September 21, 2017 - 8:00 PM Bluegrass Jam with host John Meehan! September 28, 2017 - 8:00 PM Bluegrass Jam with host John Meehan! October 5, 2017 - 8:00 PM Bluegrass Jam with host John Meehan! October 12, 2017 - 8:00 PM Bluegrass Jam with host John Meehan! October 19, 2017 - 8:00 PM Bluegrass Jam with host John Meehan! October 26, 2017 - 8:00 PM Bluegrass Jam with host John Meehan! 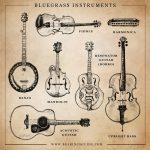 November 2, 2017 - 8:00 PM Bluegrass Jam with host John Meehan! November 9, 2017 - 8:00 PM Bluegrass Jam with host John Meehan! November 16, 2017 - 8:00 PM Bluegrass Jam with host John Meehan! November 29, 2017 - 8:30 PM Open Mic November 30, 2017 - 8:00 PM Bluegrass Jam with host John Meehan! December 6, 2017 - 8:30 PM Open Mic December 7, 2017 - 8:00 PM Bluegrass Jam with host John Meehan! December 13, 2017 - 8:30 PM Open Mic December 14, 2017 - 8:00 PM Bluegrass Jam with host John Meehan! December 20, 2017 - 8:30 PM Open Mic December 28, 2017 - 8:00 PM Bluegrass Jam with host John Meehan! January 3, 2018 - 8:30 PM Open Mic January 10, 2018 - 8:30 PM Open Mic January 11, 2018 - 8:00 PM Bluegrass Jam with host John Meehan! January 17, 2018 - 8:30 PM Open Mic January 18, 2018 - 8:00 PM Bluegrass Jam with host John Meehan! January 24, 2018 - 8:30 PM Open Mic January 25, 2018 - 8:00 PM Bluegrass Jam with host John Meehan! January 31, 2018 - 8:30 PM Open Mic February 1, 2018 - 8:00 PM Bluegrass Jam with host John Meehan! February 7, 2018 - 8:30 PM Open Mic February 8, 2018 - 8:00 PM Bluegrass Jam with host John Meehan! February 14, 2018 - 8:30 PM Open Mic February 15, 2018 - 8:00 PM Bluegrass Jam with host John Meehan! February 21, 2018 - 8:30 PM Open Mic February 22, 2018 - 8:00 PM Bluegrass Jam with host John Meehan! February 28, 2018 - 8:30 PM Open Mic March 1, 2018 - 8:00 PM Bluegrass Jam with host John Meehan! March 7, 2018 - 8:30 PM Open Mic March 8, 2018 - 8:00 PM Bluegrass Jam with host John Meehan! March 14, 2018 - 8:30 PM Open Mic March 15, 2018 - 8:00 PM Bluegrass Jam with host John Meehan! March 21, 2018 - 8:30 PM Open Mic March 22, 2018 - 8:00 PM Bluegrass Jam with host John Meehan! March 28, 2018 - 8:30 PM Open Mic March 29, 2018 - 8:00 PM Bluegrass Jam with host John Meehan! April 4, 2018 - 8:30 PM Open Mic April 5, 2018 - 8:00 PM Bluegrass Jam with host John Meehan! April 11, 2018 - 8:30 PM Open Mic April 12, 2018 - 8:00 PM Bluegrass Jam with host John Meehan! April 18, 2018 - 8:30 PM Open Mic April 19, 2018 - 8:00 PM Bluegrass Jam with host John Meehan! April 25, 2018 - 8:30 PM Open Mic April 26, 2018 - 8:00 PM Bluegrass Jam with host John Meehan! May 2, 2018 - 8:30 PM Open Mic May 3, 2018 - 8:00 PM Bluegrass Jam with host John Meehan! May 9, 2018 - 8:30 PM Open Mic May 10, 2018 - 8:00 PM Bluegrass Jam with host John Meehan! 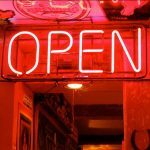 May 16, 2018 - 8:30 PM Open Mic May 17, 2018 - 8:00 PM Bluegrass Jam with host John Meehan! May 23, 2018 - 8:30 PM Open Mic May 24, 2018 - 8:00 PM Bluegrass Jam with host John Meehan! May 30, 2018 - 8:30 PM Open Mic May 31, 2018 - 8:00 PM Bluegrass Jam with host John Meehan! June 6, 2018 - 8:30 PM Open Mic June 13, 2018 - 8:30 PM Open Mic June 14, 2018 - 8:00 PM Bluegrass Jam with host John Meehan! June 20, 2018 - 8:30 PM Open Mic June 21, 2018 - 8:00 PM Bluegrass Jam with host John Meehan! June 27, 2018 - 8:30 PM Open Mic June 28, 2018 - 8:00 PM Bluegrass Jam with host John Meehan! July 4, 2018 - 8:30 PM Open Mic July 5, 2018 - 8:00 PM Bluegrass Jam with host John Meehan! July 11, 2018 - 8:30 PM Open Mic July 12, 2018 - 8:00 PM Bluegrass Jam with host John Meehan! July 18, 2018 - 8:30 PM Open Mic July 19, 2018 - 8:00 PM Bluegrass Jam with host John Meehan! July 25, 2018 - 8:30 PM Open Mic July 26, 2018 - 8:00 PM Bluegrass Jam with host John Meehan! August 1, 2018 - 8:30 PM Open Mic August 2, 2018 - 8:00 PM Bluegrass Jam with host John Meehan! August 8, 2018 - 8:30 PM Open Mic August 9, 2018 - 8:00 PM Bluegrass Jam with host John Meehan! August 15, 2018 - 8:30 PM Open Mic August 16, 2018 - 8:00 PM Bluegrass Jam with host John Meehan! August 22, 2018 - 8:30 PM Open Mic August 23, 2018 - 8:00 PM Bluegrass Jam with host John Meehan! August 29, 2018 - 8:30 PM Open Mic August 30, 2018 - 8:00 PM Bluegrass Jam with host John Meehan! September 5, 2018 - 8:30 PM Open Mic September 6, 2018 - 8:00 PM Bluegrass Jam with host John Meehan! September 12, 2018 - 8:30 PM Open Mic September 13, 2018 - 8:00 PM Bluegrass Jam with host John Meehan! September 19, 2018 - 8:30 PM Open Mic September 20, 2018 - 8:00 PM Bluegrass Jam with host John Meehan! September 26, 2018 - 8:30 PM Open Mic September 27, 2018 - 8:00 PM Bluegrass Jam with host John Meehan! October 3, 2018 - 8:30 PM Open Mic October 4, 2018 - 8:00 PM Bluegrass Jam with host John Meehan! October 10, 2018 - 8:30 PM Open Mic October 11, 2018 - 8:00 PM Bluegrass Jam with host John Meehan! October 17, 2018 - 8:30 PM Open Mic October 18, 2018 - 8:00 PM Bluegrass Jam with host John Meehan! October 24, 2018 - 8:30 PM Open Mic October 25, 2018 - 8:00 PM Bluegrass Jam with host John Meehan! October 31, 2018 - 8:30 PM Open Mic November 1, 2018 - 8:00 PM Bluegrass Jam with host John Meehan! November 7, 2018 - 8:30 PM Open Mic November 8, 2018 - 8:00 PM Bluegrass Jam with host John Meehan! November 14, 2018 - 8:30 PM Open Mic November 15, 2018 - 8:00 PM Bluegrass Jam with host John Meehan! November 21, 2018 - 8:30 PM Open Mic November 22, 2018 - 8:00 PM Bluegrass Jam with host John Meehan! November 28, 2018 - 8:30 PM Open Mic November 29, 2018 - 8:00 PM Bluegrass Jam with host John Meehan! December 5, 2018 - 8:30 PM Open Mic December 6, 2018 - 8:00 PM Bluegrass Jam with host John Meehan! December 12, 2018 - 8:30 PM Open Mic December 13, 2018 - 8:00 PM Bluegrass Jam with host John Meehan! December 19, 2018 - 8:30 PM Open Mic December 20, 2018 - 8:00 PM Bluegrass Jam with host John Meehan! December 26, 2018 - 8:30 PM Open Mic December 27, 2018 - 8:00 PM Bluegrass Jam with host John Meehan! January 2, 2019 - 8:30 PM Open Mic January 3, 2019 - 8:00 PM Bluegrass Jam with host John Meehan! January 9, 2019 - 8:30 PM Open Mic January 10, 2019 - 8:00 PM Bluegrass Jam with host John Meehan! January 16, 2019 - 8:30 PM Open Mic January 17, 2019 - 8:00 PM Bluegrass Jam with host John Meehan! January 23, 2019 - 8:30 PM Open Mic January 24, 2019 - 8:00 PM Bluegrass Jam with host John Meehan! January 30, 2019 - 8:30 PM Open Mic January 31, 2019 - 8:00 PM Bluegrass Jam with host John Meehan! February 6, 2019 - 8:30 PM Open Mic February 7, 2019 - 8:00 PM Bluegrass Jam with host John Meehan! 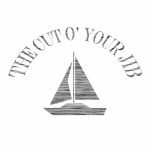 February 8, 2019 - 9:30 PM The Cut O' Your Jib Live at Harlow's!